We offer parking spaces on ground as well as in a new underground parking facility on the site "Valby Maskinfabrik", located by Gammel Køge Landevej/Vigerslev Allé in Valby, Copenhagen. The parking spaces can be rented by residential- and commercial leasers in Valby Maskinfabrik as well as by guests. 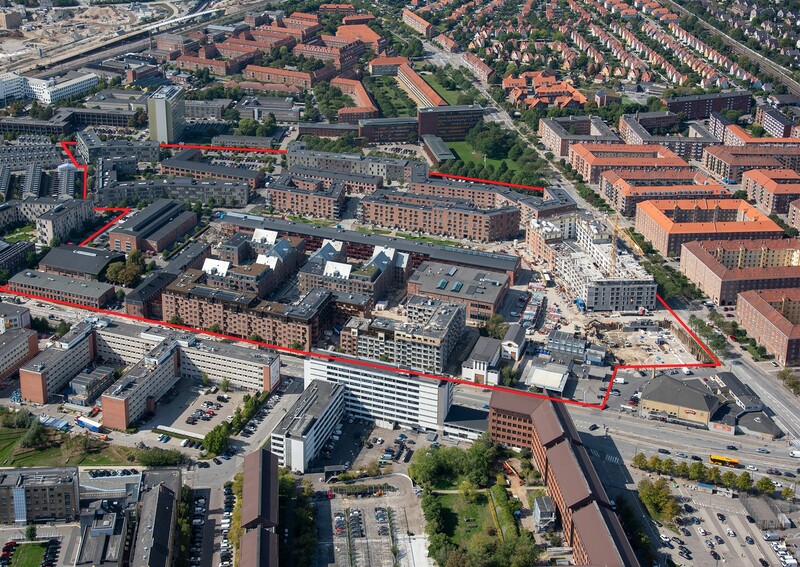 Valby’s new urban district, "Valby Maksinfabrik", is taking shape as homes, businesses, gardens and green urban spaces are established. Alongside the existing distinctive factory buildings being renovated and put to new use, other buildings are being constructed in a modern architectural style. The splendid red-brick buildings that used to house workers’ changing rooms, a canteen and milling machinery have already been converted into showrooms, function rooms, conference facilities and office environments. Together, these changes are creating an attractive urban quarter that points to the future while evoking echoes of its history. The large shoopping mall "Spinderiet" as well as the shopping street "Valby Langgade", which both offer a wealth of shopping opportunities, are within walking distance from Valby Maskinfabrik, as are institutions, schools etc.